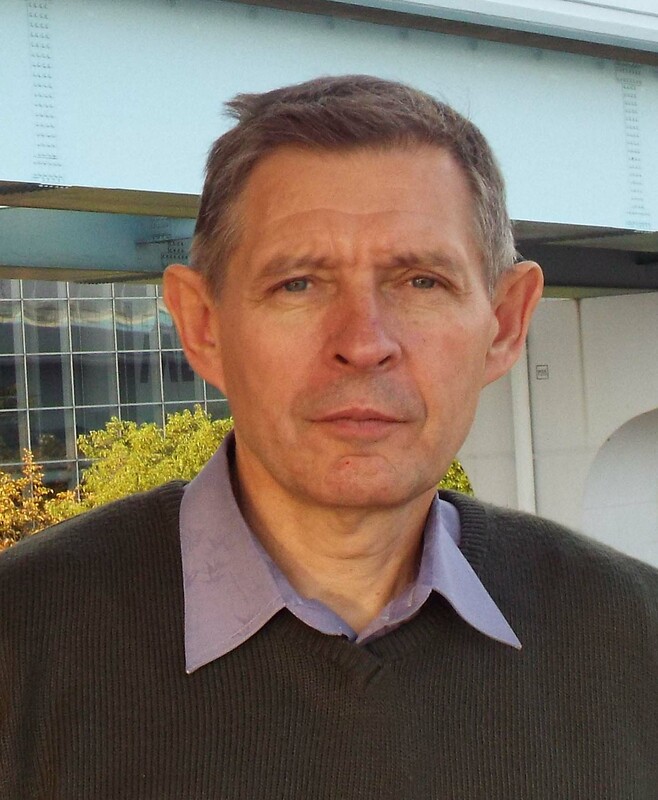 Prof. Igor Shishkovsky received his PhD from the Lebedev Physical Institute of Russian Academy of Sciences (RAS), Moscow (1992) and DrSc from the Institute of Structural Macrokinetics and Material Science of the RAS (ISMAN, Chernogolovka, Moscow region, 2005). In the period from 1993 to 2013 years, Prof. Shishkovsky held positions (Senior Lecturer, Assistant Professor, Associate Professor, Full Professor) at Sam GTU and MGTU – Stankin. He was an Invited Professor in Diagnostics and Imaging of Industrial Processes (DIPI) Laboratory at Ecole Nationale d’Ingenieurs de Saint Etienne (2006 – 07 & 2010 – 11, ENISE, France). He is an SPIE member, certified expert of the RAS, expert of the RSF, RFBR, European science foundations. He is a co-author of 200 scientific papers, 10 books/chapters and 8 patents devoted to additive manufacturing processes (Selective Laser Sintering / Melting, Direct Metal Deposition, 3D laser cladding & etc). His current research interests are additive manufacturing of functional parts, 3D biofabrication of implant and scaffolds and laser treatment of materials. The main goal of our research is to find prospective powder compositions for the fabrication of functional parts by the SLS/M and 3D laser cladding processes (DMD, LENS), and to study their properties and synthesis conditions. The results are expected to be utilized in medicine (orthopedic implants), the oil, gas, and chemistry industries (filter elements, catalytic membranes), in electrical engineering (piezo elements) and in auto, aerospace and other branches of precision engineering. In other words, the applications encompass any industry where there are problems of modeling and RP&M, which utilize powdered materials. The list includes: a) shapes cast from a sintered master pattern; b) functional customized parts and tools with unique physical characteristics. The current studies at Prof. Shishkovsky group are directing on the combinatory approach had been realized for the first time into our researches on graded metal matrix composites (MMC) based on titanium, nickel and/or cobalt matrix, with the layerwise increasing content of Al2O3, TiC, TiB2, WC nanoceramics. In certain cases, we recommend additional thermal heating of the initial mix and/or substrate for temperature gradient reduction in the volume of the 3D part to decrease residual stresses and propensity to delamination. Developed us a combinatory method is an effective tool for detection and design of new alloys for additive manufacturing (AM), studying of phase-structural transformations in non-equilibrium conditions of 3D laser synthesis, and prediction of other perspective MMC and heat resisting alloys (Genome of Material for Combinatorial Design and Prototyping of Alloys ) for aircraft & nuclear industries. Powder Bed Fusion (PBF) & Direct Energy Deposition (DED) of intermetallic powder composition and fabrication of the Functional Graded Structures in the (Ti-Al, Ni-Al, Ti-Ni, Fe-Al, Fe-Ti, Ni-Al-Cu and etc) powder systems. 3D intermetallic synthesis biocomposite implants, scaffolds and drug delivery systems from titanium, nitinol or metal (Ti, NiTi)/ceramics (ZrO2, TiO2, Al2O3, AZO, hydroxyapatite) + polymers, including bio-polymers (PEEK, PCL, PA, PC, PVDF) – both micron and nano size, determination of the optimum SLS/M conditions and analysis of a phase structure and properties. the porous gradient filter elements and membranes with nano catalytic additives. Shishkovsky I. Aerospace applications of the SLM process of functional and functional graded metal-matrix composites based on NiCr superalloys. Pages 265-280. Book Chapter 12 in Elsevier Publ., F. Froes, R. Boyer (Eds.) ‘Additive Manufacturing for the Aerospace Industry. 1st Edition‘, 2019. ISBN: 978-0-12814-062-8, 482 p.
Shishkovsky I.V. Chapter 26 “Laser-assisted fabrication of tissue engineering scaffolds from titanium alloys (Pdf)“, p. 603-651. Book chapters in: J. Lawrence et al. (Eds. ), Laser Surface Engineering. Processes and applications, 718 p. 2015, Woodhead Publishing Series in Electronic and Optical Materials, ELSEVIER SCIENCE & TECHNOLOGY, on – line ISBN 978-1-78242-074-3. Shishkovsky I.V. High Speed Laser Assisted Surface Modification. A book-chapter in A. S. Hamdy (Ed.) High Performance Coatings for Automotive and Aerospace Industries, Nova Science Publishers, NY, USA, June 2010, pp. 109-126. ISBN: 978-1-60876-579-9. Additive manufacturing (AM), also called 3D printing, has become an extremely promising technology nowadays. Unlike traditional manufacturing processes such as welding, milling and melting that involve multi-stage processing and treatments, AM allows to create products with the new level of performance and shapes. Moreover, this technique allows to produce prototypes rapidly and leads to reducing costs and risks. Another crucial advantage of the technology is the unprecedented design flexibility that let us create the samples of high quality based on different materials such as metals, alloys, ceramics, polymers, composite materials etc. The main goal of this course is to represent the fundamental basis of different additive technologies to the students. In this course, a wide range of questions will be addressed, beginning from the process of chain and designing the structures up to various 3D printing technologies, materials and process parameters, benefits and drawbacks of AM approaches will be considered. During laboratory class, we will get acquainted with the additive technologies on various printing machines. Students will be able to create their own models, print them in metals, ceramics and polymers, and also analyze the properties of the final samples. During this course, a complete cycle of production of samples using various 3D printing techniques will be explored both theoretically and practically.